The Boy's Youth Steens Mountain™ Novelty Full Zip Fleece Jacket offers water-repellent comfort. Columbia took one of their most loved fleeces and upgraded it with a rain-and-stain repellent yoke and two more pockets. Perfect for a cool day at camp, by the lake, or a weekend around town. The Boy&apos;s Youth Steens Mountain™ Novelty Full Zip Fleece Jacket offers water-repellent comfort. 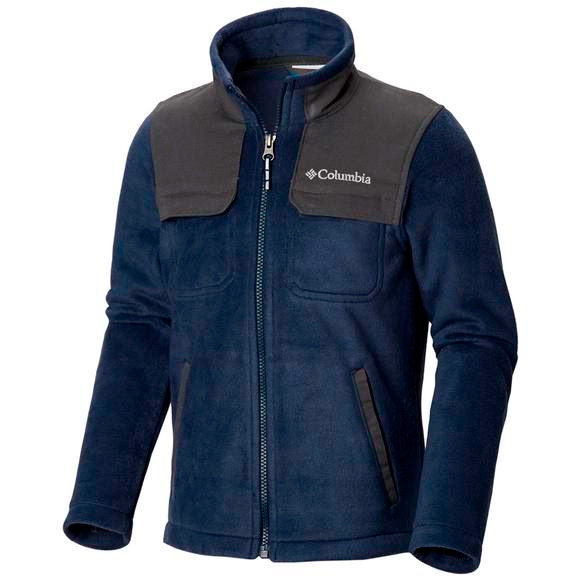 Columbia took one of their most loved fleeces and upgraded it with a rain-and-stain repellent yoke and two more pockets. Perfect for a cool day at camp, by the lake, or a weekend around town.